4 bedroom/2 full bath 2, 100+ sq. 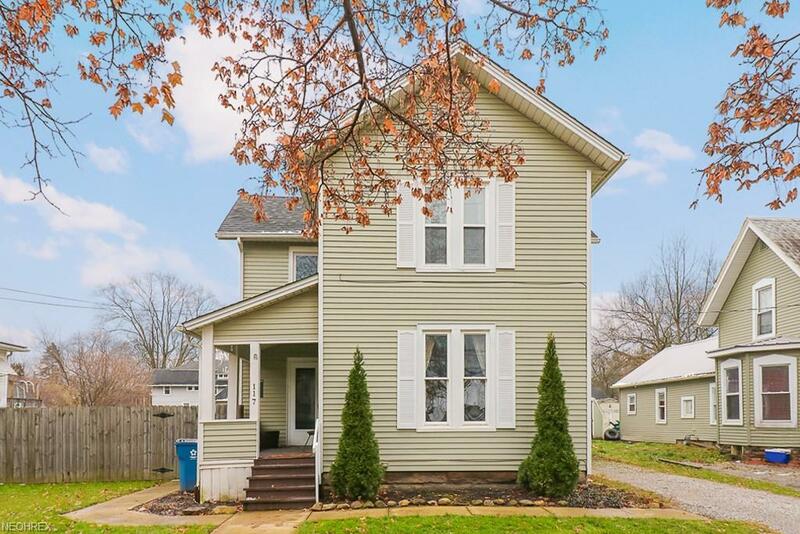 ft home located just 1 block south of downtown Wellington! Warm & welcoming interior is very clean and well appointed, plus it has an updated feel mixed with old charm! FIRST FLOOR master suite addition (currently used as a family room) is very well appointed, complete with a vaulted ceiling & private full bath! Beautiful, updated custom kitchen with attractive cupboard style & color scheme and added touches such as a breakfast bar, glass front cabinets & pantry! Formal dining room w wood flooring! Cozy living room with newer carpeting! First floor laundry room with built in folding counter! There three nice sized bedrooms upstairs! Both bathrooms are nicely updated, one has double sinks and separate soaking tub/shower! Nice sized yard for being in town measuring 71x132 and entirely privacy fenced in the back, shed, screen porch! A great value for a 2, 100+ sq ft home with 2 full baths!